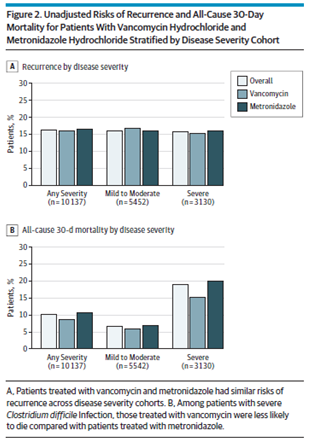 Efficacy and Safety of Metronidazole Monotherapy versus Vancomycin Monotherapy or Combination Therapy in Patients with Clostridium difficile Infection: A Systematic Review and Meta-Analysis. PLoS One. 2015 Oct 7;10(10):e0137252. JAMA Intern Med. 2017 Apr 1;177(4):546-553.